We picked up the latest generation of the Amazon Fire Stick about a month ago. We had been using the previous generation and were happy with it. My mother in law wanted to be able to watch PBS shows while babysitting my son, but her Samsung smart TV doesn’t have any PBS apps available. We installed the first gen Amazon Fire Stick over there to solve the PBS problem, and ordered the latest version for our house. There are two notable changes in the latest version for a normal user. 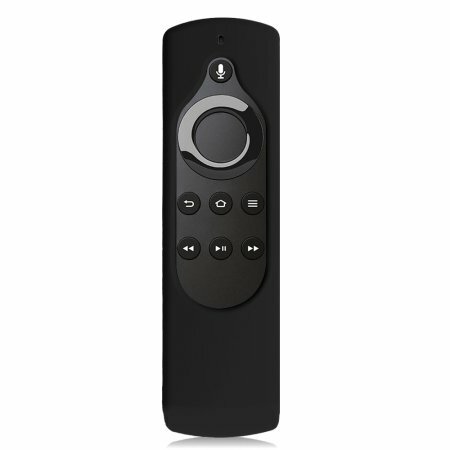 The user interface is much better, and remote now gives access to Alexa. The previous version of the Amazon Fire user interface had a menu down the left side of the screen with categories like Movies, TV, Games, and so on. Once you were on one of the menu levels, there was another set of menus embedded below that. Those menus were awful and I always fumbled around trying to find what I wanted. The second generation has simplified the user interface by removing the side bar. Everything is row based which is nice, and not so nice. The rows make finding different services much easier, but finding something withing those services can be a challenge. The My List feature in Netflix is almost useless in a row. My list in Netflix is a cluster of shows that I added a year ago and forgot about/never watched, stuff I watched and couldn’t be bothered to remove, and stuff different family members have added. There are maybe 150 different movies or TV shows in that list. I assume everyone has a list like that. Finding the one movie I want to watch in a list that long that only displays 6 or 8 at a time is tedious. Luckily search works just fine. My favorite feature on the new Amazon Fire Stick is its integration with Alexa. I haven’t asked Alexa if she is involved with the CIA, but it is handy for finding things quickly. Five month old kids rids an emotional roller coaster. One minute they are perfectly happy, the next they are losing their minds. When mine is sliding into the latter category, I can ask press a button on the remote and ask Alexa to play Daniel Tiger’s Neighborhood. Things are almost instantly OK with the world after the show starts. Instead of soothing a baby and fumbling through menus, I can just ask Alexa to play the show. I also like that I can access Amazon music through the Fire Stick. Press the button, say “Play Sonic Youth” and Amazon starts streaming a Sonic Youth play list to your TV. I can get all but the newest albums streamed to my TV this way. I did have one problem with the device. For about a week, the Netflix app was refusing connections. I was able to get into Netflix from the web and other apps, but not from the Amazon Fire. After a week or so the problem resolved itself. That seems to be life in an IoT, Continuous Delivery world though. One minute things work, and the next they are fine. Overall, I am very happy with the latest version of the Amazon Fire Stick. The biggest difference between this generation and the previous is usability. Removing the side bar makes movies, TV shows, and apps easier to find. Adding Alexa makes things even easier. This new version is great for older people that are losing dexterity or vision, and young children. At $39.99, I’d say it’s a good deal.